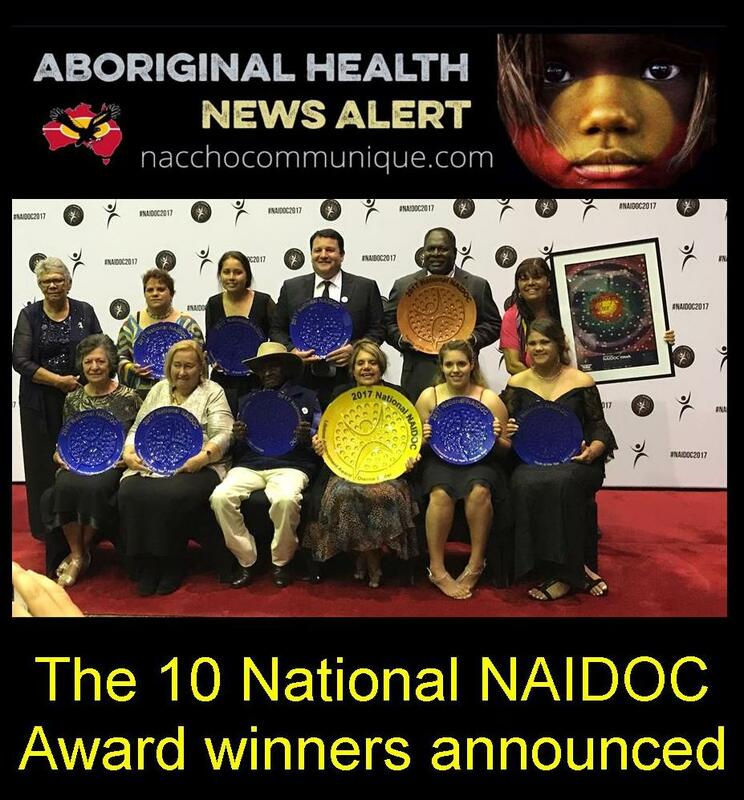 The National NAIDOC Committee on the weekend congratulated ten outstanding Aboriginal and Torres Strait Islander Australians who were honoured at the 2017 National NAIDOC Awards Ceremony in Cairns. 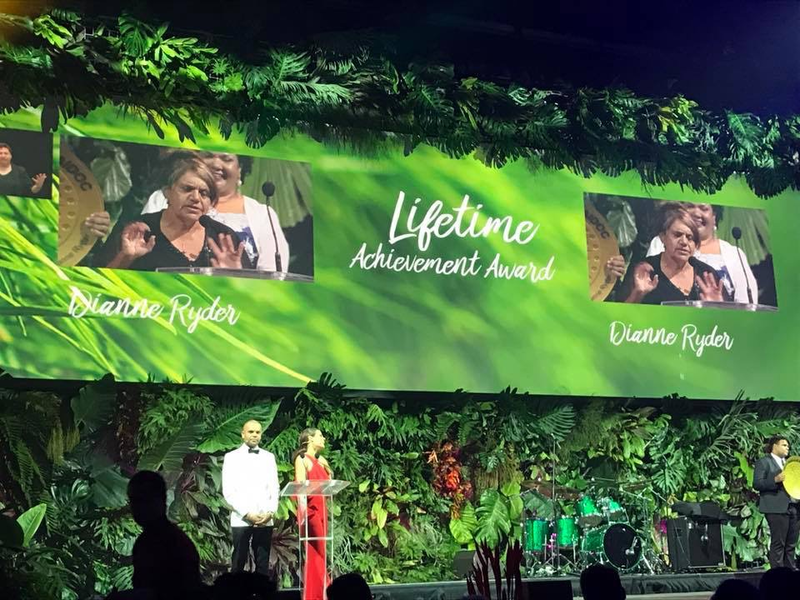 Dianne Ryder, a proud Noongar woman from Western Australia, was honoured with the prestigious Lifetime Achievement Award. Dianne served a 21 year career in the Army, being awarded the Army Australia Day Medallion in 1990. She is currently the President of the Aboriginal and Torres Strait Islander Veterans Association of WA and challenges us all to consider how we can improve outcomes for Aboriginal and Torres Strait Islander peoples. Elverina Johnson, a highly respected Gurugulu and Indinji Gimuy women from Yarrabah in far north Queensland won the Artist of the Year award. Elverina has been involved in the arts industry for over 30 years as a singer, songwriter, playwright, actor, photographer and artist. She believes that the arts can empower Aboriginal and Torres Strait Islander people and restore a genuine sense of pride in their culture and communities. The Person of the Year Award, sponsored by the Commonwealth Bank, went to National Basketball Association (NBA) Champion and a three time Olympian, Patrick Mills. Patrick is a Muralag man from the Torres Strait, Ynunga man from South Australia who is dedicated to using his international profile to promote and raise awareness of Aboriginal and Torres Strait Islander cultures. 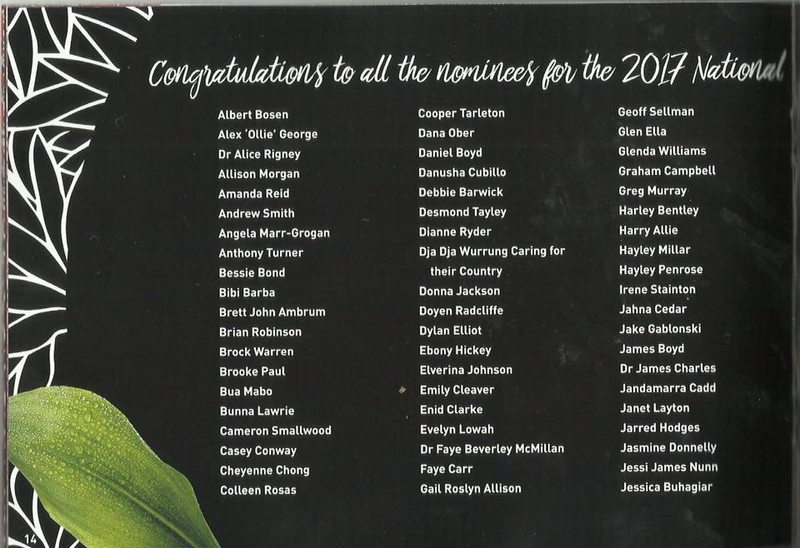 “It is inspiring to see the tireless work being done by so many talented and dedicated individuals to benefit themselves, their communities and Aboriginal and Torres Strait Islander people across our land,” said Committee Co-Chair, Benjamin Mitchell. 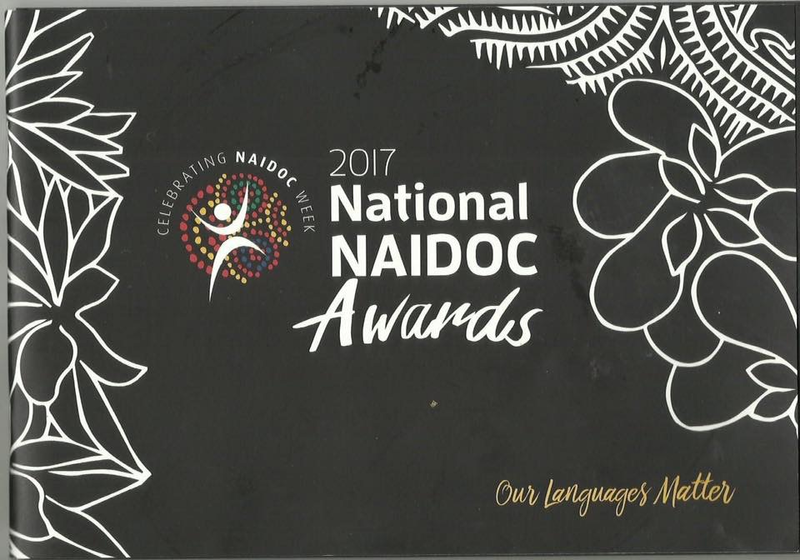 National NAIDOC Committee Co-Chair Anne Martin said languages are the breath of life for Aboriginal and Torres Strait Islander peoples and the theme will raise awareness of the status and importance of Indigenous languages across the country. 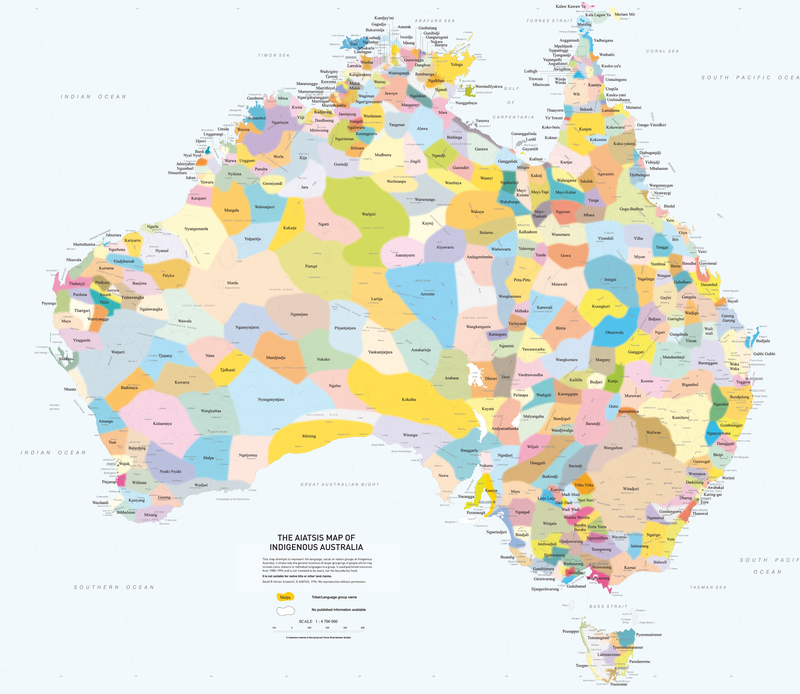 “Aboriginal and Torres Strait languages are not just a means of communication, they express knowledge about everything: law, geography, history, family and human relationships, philosophy, religion, anatomy, childcare, health, caring for country, astronomy, biology and food. “We are grateful to have worked with some outstanding partners this year, whose support contributed to success of the 2017 national celebrations.” said Committee Co-Chair, Anne Martin. 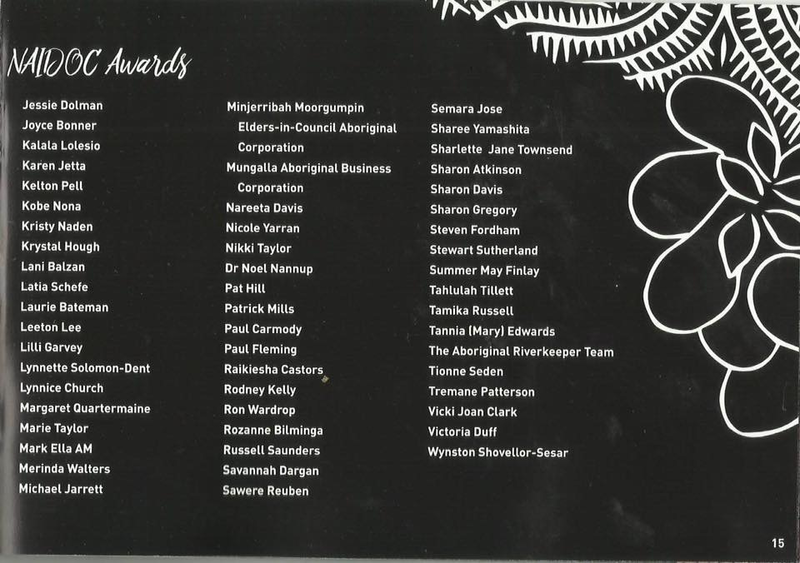 The Awards were hosted at the Cairns Convention Centre and attended by just under 1000 guests including the Yirrganydi and Gimuy Walubara Yidinji people, the Cairns community, federal and state politicians and high profile Indigenous affairs identities. The Committee welcomed back Hannah Hollis and Luke Carroll as hosts for the evening alongside a colourful line-up of entertainment including the AustraNeisia and Gondwana Indigneous Childrens choirs, Torres Strait Islander dance groups Gerib Sik and Naygayiw Gigi, local band The Nightshift and teen superstar Isaiah Firebrace. The Committee thanks all involved in making this year another successful National NAIDOC event. “It is a privilege to stage the Awards each year in a different city around our sacred country. I would like to thank the Cairns NAIDOC Committee for its assistance with the Awards and the Yirrganydi and Gimuy Walubara Yidinji people for welcoming us onto their land”, said Mr Mitchell. Lastly, congratulations to Sydney which was announced last night as the National NAIDOC Host City for 2017. The Minjerribah Moorgumpin Elders-in-Council Aboriginal Corporation in Queensland was created to record and teach people about caring for Country for future generations. They represent descendants of the Noonuccal, Ngugi and Goenpul people of North Stradbroke (Minjerribah), Moreton (Moorgumpin) and the Moreton Bay (Quandamooka) islands. Each year the Elders deliver cultural education services to approximately 6000 participants. They teach knowledge of local languages; bush plants, and environmental management skills that they learned growing up. As well as education, the Elders are preserving a regional ecosystem which includes significant vegetation and habitats. Latia Schefe is a young Yuggera woman from Brisbane, Queensland who has overcome serious illness and adversity to become a strong role model among her peers. Diagnosed with Neuroblastoma cancer when she was only 6 years old, Latia endured multiple operations, chemotherapy and the loss of a kidney. Despite her hardships, Latia went on to complete Year 12 education and in her final year was awarded the Jane Prentice Award for Indigenous Student of the Year. Latia stands out as a promising future leader, participating in a Biking Program which fixes old bikes for people with disability, and coordinating local NAIDOC celebrations. Elverina Johnson is a highly respected Gurugulu and Indinji Gimuy women from Yarrabah in far north Queensland – and one of Australia’s most highly respected Indigenous artists. With creative talents spanning the spectrum of visual and performing arts, Elverina has been involved in the arts industry for over 30 years as a singer, songwriter, playwright, actor, photographer and artist. She believes that the arts can empower Aboriginal and Torres Strait Islander people and restore a genuine sense of pride in their culture and communities, and works with youth and Elders alike to promote cultural respect and integrity. Dr James Charles is a Kaurna man from Adelaide, South Australia and is currently working at Charles Sturt University as a lecturer in Podiatry. He graduated from the University of South Australia in podiatry, completed his Masters, recently completed his PhD, and his research is being published in peer review journals. James is passionate about providing podiatry services to the Aboriginal and Torres Strait Islander community and believes that foot health is undervalued. He has worked for many years at leading Universities, educating on providing culturally appropriate health care. In 2008 James undertook a two year chairmanship of the newly formed Indigenous Allied Health Network, an organisation he helped build. Always giving back to his community, James has raised significant money for the Rotary Indigenous Health Fund to provide scholarships for Aboriginal and Torres Strait Islander students. Amanda Reid is Gurinagi & Wamba Wamba women from Sydney, New South Whales and an accomplished Indigenous Paralympic athlete. Amanda is the first Aboriginal cyclist and medallist, winning Silver at Rio 2016, and the first female athlete since 1992 to achieve a podium status. Amanda is the current UCI Para World Cycling Champion in the 3000 meter Pursuit and the 500 meter time trail, breaking the Paralympic record in Rio. Previously an Australia Day ambassador and currently delivering presentations in local schools, Amanda is an inspirational role model to all Australians. She mentors young disabled athletes as well as Aboriginal youth in care and plans to increase her community work prove that people with disability can achieve in their community. Faye was involved in establishing the Aboriginal and Torres Strait Islander Legal Service, the Kambu Progress Association and the Kambu Aboriginal to deliver important legal, housing, recreational and health services to Ipswich and broader Queensland. Among many accolades, Faye was honoured with Ipswich Citizen of the Year in 2016. Ollie George is a Badimaya Elder from Western Australia who has worked tirelessly since the early 1990s to preserve his mother tongue, Badimaya. He has taught Badimaya at the school in his hometown of Mt Magnet and works with community members to create language materials and resources. He has recorded hundreds of hours of Badimaya language, much of it by himself. Since 2012, Ollie has worked to produce 7 publications in Badimaya, has been featured in two ‘Indigenous Community Stories’ by the Film and TV Institute of WA, and the primary consultant on several projects on Badimaya language and country. Ollie is now completing his ‘Nganang Badimaya Wangga’, a project based on 24 yarns he tells about life growing up on his country, learning language from old people, and the cultural and historical legacy of the Badimaya people. Patrick Mills is a Muralag man from the Torres Strait, Ynunga man from South Australia and sporting legend. A National Basketball Association (NBA) Champion and a three time Olympian Patrick is a member of the San Antonio Spurs who famously won the 2014 NBA Championship. Patrick is the first Indigenous player to represent Australian Men’s Basketball at three consecutive Olympic Games and is preparing for his record fourth Games in Tokyo 2020. He is the youngest player to represent Australia in Men’s Basketball and he holds the Olympic record for being the overall highest points scorer at the London Olympics in 2012. Patrick has won numerous awards including ACT Young Australian of the Year in 2015 and ACT Sports Male Athlete of the Year in 2016. Patrick uses his international profile to promote and raise awareness of Aboriginal and Torres Strait Islander cultures and often takes time to share parts of his language with his teammates. Dianne Ryder is a proud Noongar woman from Western Australia with a legendary reputation for her contribution to family, community and country. After school, Dianne embarked on a 21-year career with the army and in 1990, she was awarded the Army Australia Day Medallion. Since leaving the Army, Dianne has worked as a community outreach worker in Sydney and later Perth. She is currently the President of the Aboriginal and Torres Strait Islander Veterans Association of WA and heavily involved with the Indigenous Veterans Memorial Service. Her contribution and involvement with her community has led to her being sought out to share her wisdom with government departments and politicians at a state and national level. In 2015, Dianne was nominated for Australian of the year in 2015 and for the Prime Ministers Advisory Council on Mental health.